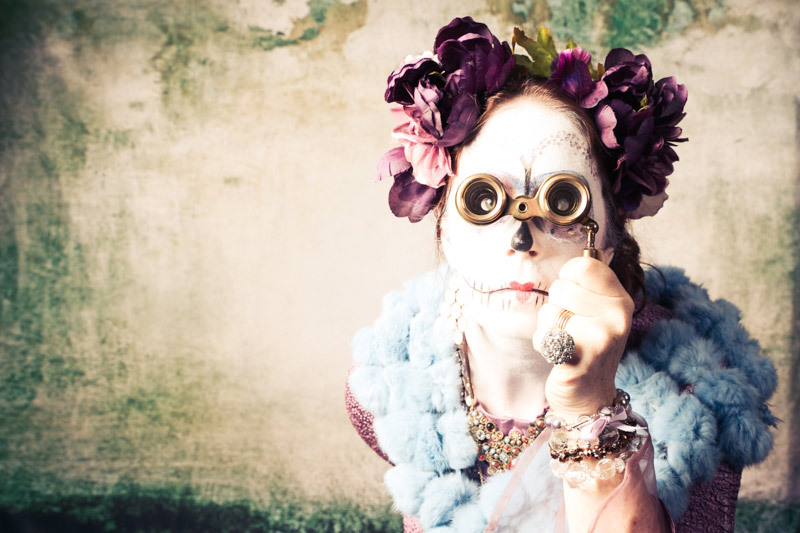 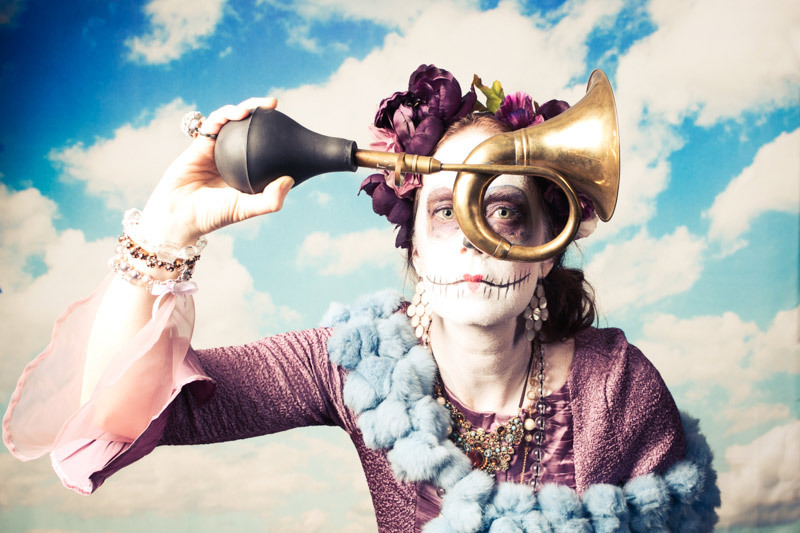 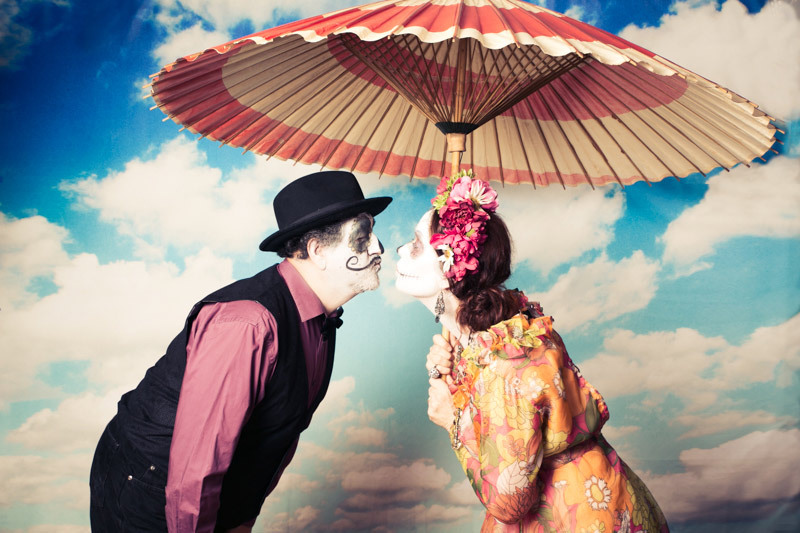 Sugar skull selfies by photographer Kim Campbell are featured in her 'Día de los Muertos' series. 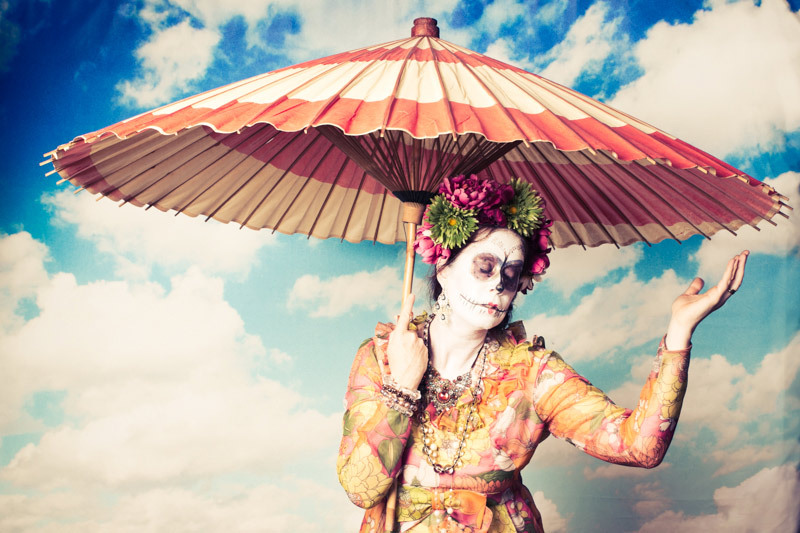 An ongoing exploration of culture, love, death, play and drama—the photographer becomes the subject in this self-portrait series. 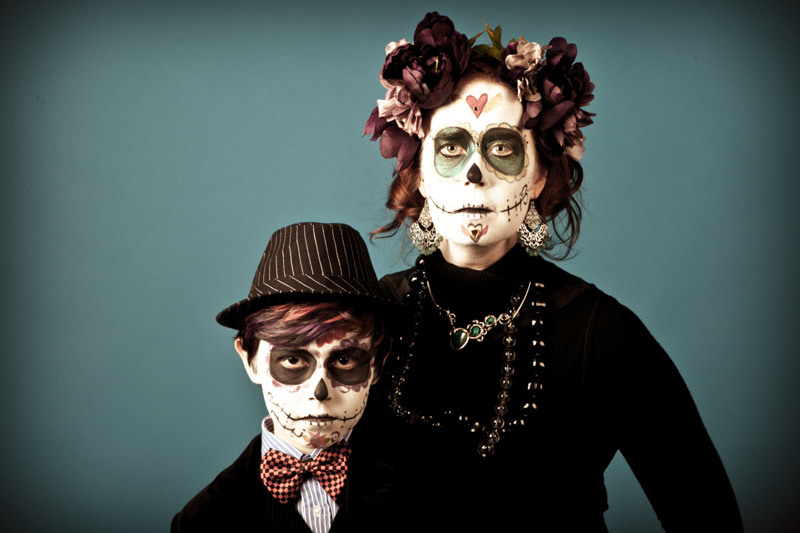 Sugar skull make-up and finery allow me to step from behind the camera into a nostalgic character that harkens back to the celebratory piece of death.